The Ordinary can be really confusing which is why I highly recommend buying a set regimen when starting out. 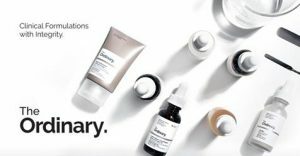 You can also ask Deciem for a personalised regimen via their contact page. If you don´t buy a set regimen, you will spend more money than you need to and buy products that might conflict. Buy a few, see how you get on and then buy more as and when you need. It´s good to stick to a routine to really see the benefits. If you’re getting stressed and have no idea what order to use them in, then you might be using too many. Firstly, think about your skin type and concerns. Be realistic about how many skin concerns you can tackle at once with a serum. The different skin types are normal, dry, oily, combination and sensitive. Skin concerns include acne, pigmentation, rosacea, lines and wrinkles, melasma, eczema and many more. 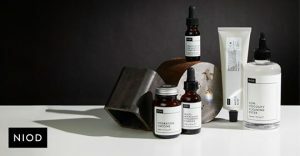 You’ll find lots of different Deciem Regimens here, 13 in total plus 100s of personalised regimens the group members have been sent in The Ordinary & Deciem Chat Room. 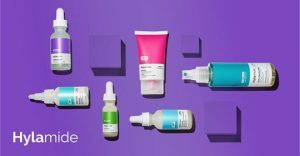 Its a great way to see how many products they recommend (no more than 3 serums in a regimen) and which ones to use together. Read all about Layering The Ordinary here where you can see all The Ordinary products arranged by their different solutions; Water, Oil, Anhydrous, Suspension & Emulsion. The general rule is from the thinnest / clearest to the thickest / opaque. Once you start adding too many products, this is where it gets confusing, especially when they conflict. Keep it simple to start! A good cleanser or 2 is really important. It´s the foundation of your skincare routine and like anything if the foundations aren’t right, nothing will be right. We have hundreds of posts in the Facebook Group all about cleansers. Search #cleansers #doublecleansing. Deciem have The Ordinary Squalane Cleanser, Hylamide Face Cleaner and NIOD LVCE & SS. We cannot stress how important to use sun cream every day and reapply if needed. Avoid direct sun when using these products. We have hundreds of suggestions for sun creams in the Facebook Group. I´m sure we can find the perfect sun cream for you. Well, we all have different size faces, but generally a couple of drops should be enough. If I used a 30ml bottle everyday it would last me around 2-3 months. If you feel you need more product then add another drop. You know your skin better than anyone, there´s no right or wrong. Do what feels right for your skin. I´m really passionate about reviews. How do we really know what’s being said is true? Well, the truth is some people love a product, some hate it and some think it´s just ok. We all have different skin types, so join Deciem Chat Room Facebook Group and talk to many people, some who may even have your skin type and concerns. Real reviews by real people who have bought, tried and tested. In the Facebook Group we have a list of all The Ordinary products and how everyone uses theirs within a routine. It´s interesting to see all the different ways people use them, when and how often. Click here for How Do You Use Yours? If you read one page, please make sure you read the Deciem Regimen Page. Its so important to know which products to use in the evening only and which products conflict.